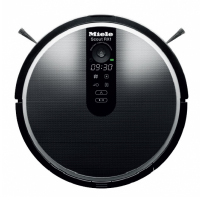 RX1 Scout is Miele's first robotic vacuum cleaner. With Smart Navigation, the Scout achieves reliable cleaning results. The Scout's lithium-ion battery can clean up to two hours, or 1,600 square feet without needing to be recharged. A gyro sensor measures the Scout's rotation, enabling it to change direction as needed and a high-quality digital ceiling camera maps the layout of a room to ensure precise cleaning of the entire space. 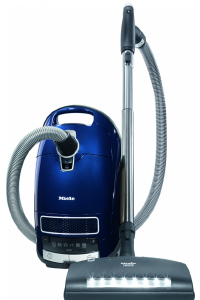 Miele's RX1 Scout features a Triple Cleaning System comprised of a turbo brush, two long rotating side brushes that target hard-to-reach areas and an effective suction system. Sensors on the front of the machine prevent the Scout from colliding with furniture and sensors underneath the Scout prevent it from falling down stairs. 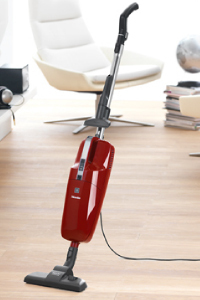 Miele's RX1 Scout also features four cleaning modes and a convenient remote control. 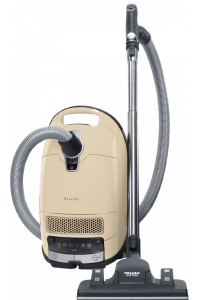 From ceramic tiles to flagstone, cork to bamboo, Miele's Universal Upright vacuum cleaner is ideal for light, quick cleaning tasks on a wide range of smooth floor surfaces, as well as low-pile carpeting. 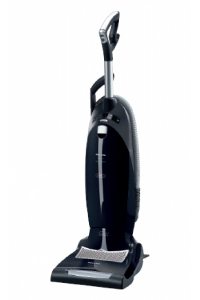 Unlike many stick vacuum cleaners, the Universal Upright provides ample pickup power, capturing fine particulates and debris easily and efficiently. 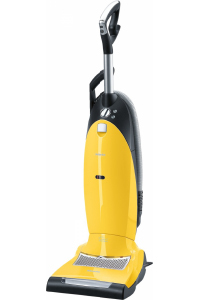 Its modular design lets you configure it several different ways, and its compact, lightweight body allows for easy storage in any closet or on boats, RVs or anywhere else you?ll need a handy vacuum. 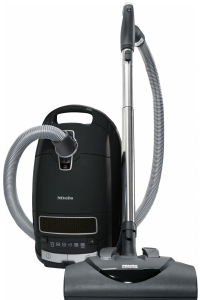 With the S6, Miele has engineered a brilliantly refined cleaning solution - one conceived to maximize performance and efficiency in an elegant, space-saving design. 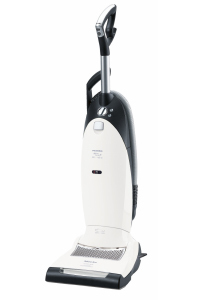 Weighing less than ten pounds, its durable, innovative skeleton construction is built to capture and securely retain more than 99.9% of dirt, dust and allergens - while its efficient, near-silent motor delivers significant noise reduction without sacrificing power. The result is a jewel of a canister vacuum cleaner: thoughtfully considered, flawlessly fashioned and timelessly desirable. The S8 Alize pairs unique features with eco-consciousness. It also marks the debut of Miele's Dynamic Drive and spotlight handle. With specialized castors for gentle maneuvering over thresholds and uneven flooring surfaces, Dynamic Drive offers soft suspension for the canister. The spotlight handle provides the operator with comfort, while the durable leD light illuminates the area ahead of the floor tool or cleaning accessory to assist with locating and capturing dirt and dust. 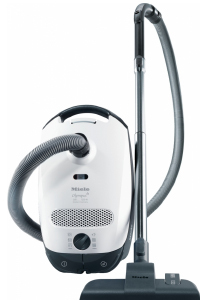 The Alize includes Miele's AirTeQ floor tool, featuring a streamlined airflow for uninterrupted floor contact. This, coupled with an automatic setting makes the S8 Alize powerful, yet efficient. 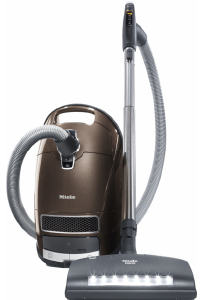 Balancing precision cleaning with your well-being, the Alize exemplifies Miele's commitment to offering nontoxic materials that are not harmful to your family or to the environment. 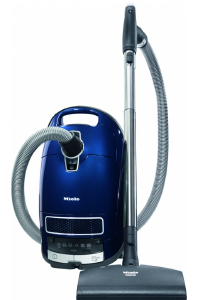 The S8 UniQ's distinctive features place Miele at the forefront of the floor care industry. 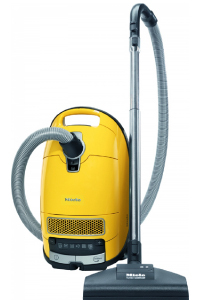 The first vacuum cleaner to offer innovations such as LED underbody lights and an illuminated parking system, vacuuming with the UniQ is a truly luxurious cleaning experience. The illuminated parking system will remain lit for 30 seconds after turning off the vacuum, to assist with easy storage in closets or other dark areas. A velvet bumper strip around the canister protects furniture in the event of accidental collision. Enhanced conveniences include an automatic setting, handle controls and the enhancement of chrome accents for stunning design. 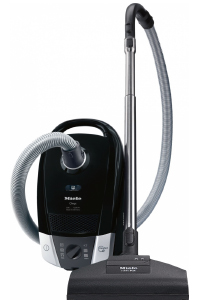 A perfect balance of form and function, the S8 UniQ is a vacuum that is truly unique.